One of the day trips of Viva la Lengua is visit to Villajoyosa on Sunday. 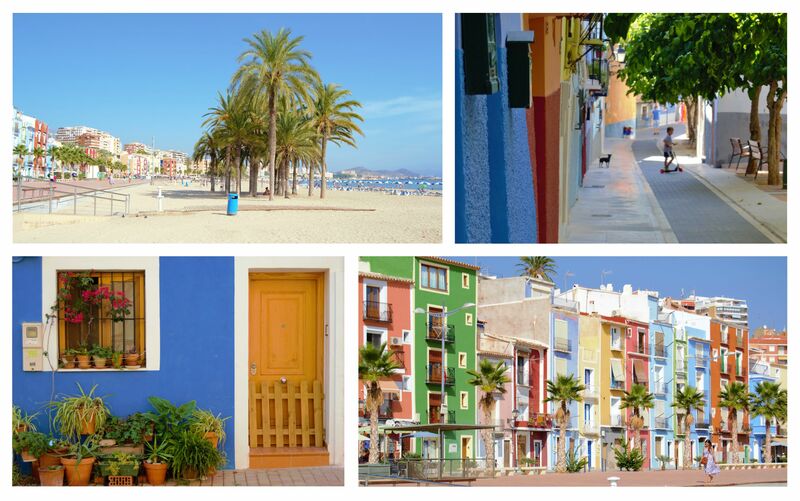 This village full of color is located 37 km away from Alicante along the “Costa Blanca” and is so old that the first population comes from the Bronze Age. Our journey begins when we are all on board at 9:30 a.m. The journey by Mediterranean road is quite an experience, you will enjoy the stunning scenary of the shore. Our first stop will be at the shipyard in the Port where ships are still made and repaired with traditional techniques. After that we will go on directly to the old town where you will be astonished by the colorful and charm of the streets that have been declared as Cultural Interest Site (Bien de Interés Cultural). After taking photos, we will make a lunch pause and finally and spend the whole day at the beach of La Vila. Imagine yourself in these pictures! Don’t you like it?